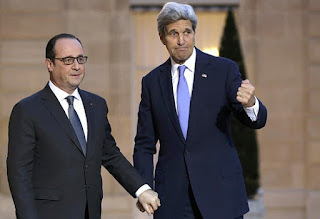 a senior figure to last Sunday’s huge march in Paris." 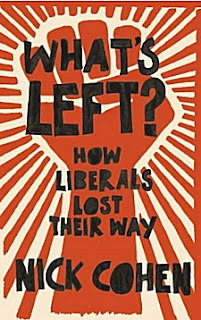 Nick Cohen's place in the world to come was assured once he published "What's Left? 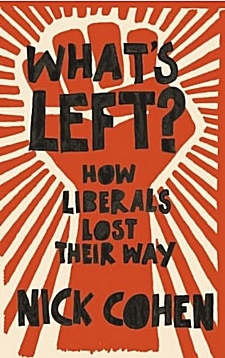 : How the Left Lost Its Way" (2007), which he describes as the story of how the liberal left of the 20th century came to support the far-right of the 21st. We see far too much of the approach Cohen describes in the work-product not only of political figures but also of journalists, reporters and analysts. It's not called "avoid offending the terrorists and that way we'll be OK". That's a pity because if it were, the underlying psychological process of intimidation/compliance would be more obvious. And people might be able to make better assessments of what their political leaders are doing. It really matters. So our challenge is to stop the immediate threat, obviously, and destroy it, while we eliminate the people going into the pool by providing those other options – by reaching them before they’re radicalized; by getting people to see there is better governance, there are better opportunities. And globally, we have a lot of work to do that. That’s what’s brought all of you into this place, into this business of diplomacy, of caring and trying to take America’s values and help to spread them around the world. But we don’t force them on people. We give people a choice. Everybody has their choice. We offer them because we believe it’s the best way to provide security, the best way to provide opportunity, and the best way to respect individual rights and the ability of any individual to be able to choose for themselves who they want to be and what they want to be, without disturbing other people, and certainly without killing. Disturbing. How many moons are there on the planet where the Secretary of State lives?